I wrote a blog post at the same time last year, looking back at 2010 and wondered how 2011 was ever going to match up. But you know what? I think it has! Those of you who work for yourself will know that it’s sometimes it’s tricky to push yourself forwards without a manager breathing down your neck. Although it sounds a bit odd, this blog is my virtual manager. It keeps me motivated as I know I need to constantly be thinking of new ideas for my business, and consistently producing great images because I’m going to be sharing them with everyone on here! It’s only when I look back through all of my blog posts from the year, that I realise how much I’ve done. Here are some of my highlights from 2011, some business, some personal….. The launch of my headshot sessions in Jan & Feb. I met so many wonderful business mums and built some great relationships just through doing this special offer. It’s amazing to see where something simple can take you! I wrote a personal post about how I needed to address the balance in my life back in April. And then from July onwards took on less shoots so I could get the balance back in my life. It’s been good although I’m still struggling to turn down business! Here’s to a more successful work/life balance in 2012! We had a couple of lovely family holidays in the UK, first to Corfe then to Whitstable….next year we’re going a bit more exotic, but the UK is great for holidays when you have small kids! I was lucky to get some great editorial coverage in the Sunday Express, Essential Esher, an interview with West London Mum and some guest blogging for Flourish Studios. And finally, we had our very own family photo shoot! Phew, I feel quite exhausted just reading through these! None of this would have been possible without Karl patiently listening to me rant on about new ideas and allowing me to disappear off to shoots every Saturday morning, my Mum for doing a 130 mile round trip every week to help look after the boys, and my Dad for keeping my accounts in check! It looks like 2012 is going to be just as exciting (& hectic! ), with my headshot sessions in Jan/Feb, lots of sold out workshops in the diary, my spring mini sessions in March and I’m very excited about a workshop that I’m attending in May with one of my favourite photographers! To all of my wonderful clients, family & friends; thank you so much for your support this year. I’m very lucky to have you all. And to all of you lovely families who I had the pleasure of photographing this year….thank you for choosing me as your photographer. 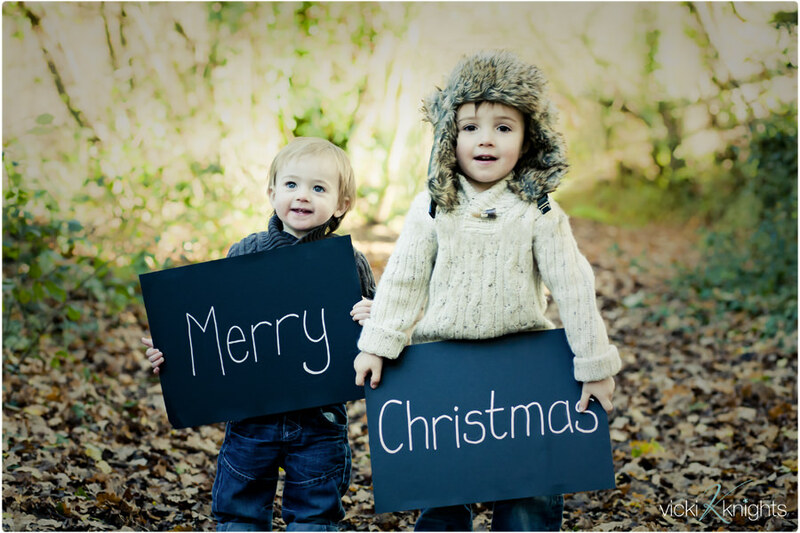 There is just one final thing to say and I’ll leave that to my gorgeous boys…..
….and a very happy new year! I hope you all have a fantastic time with lots of mulled wine, mince pies and bad jokes out of the crackers.